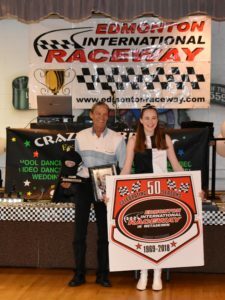 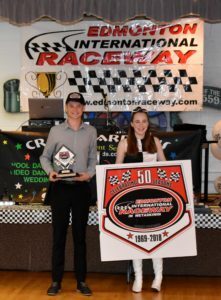 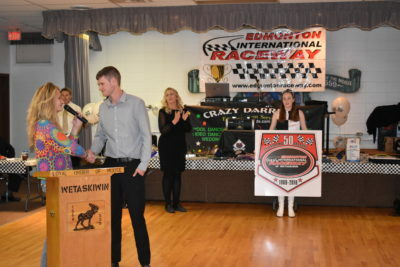 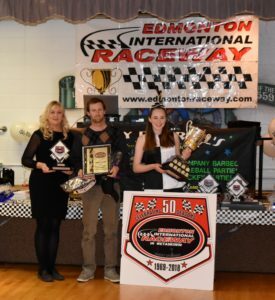 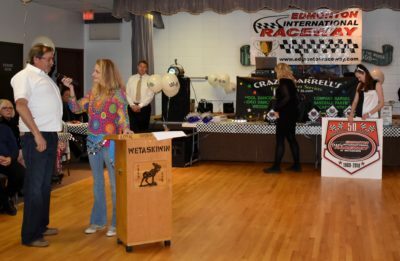 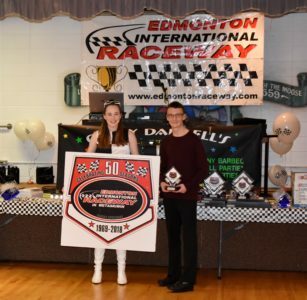 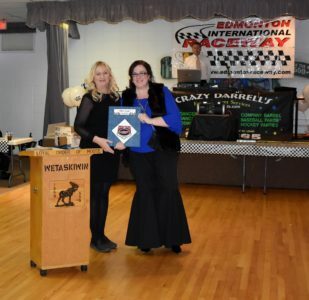 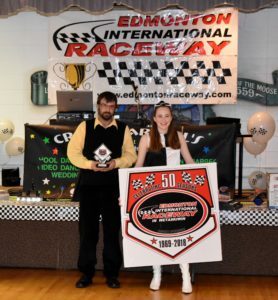 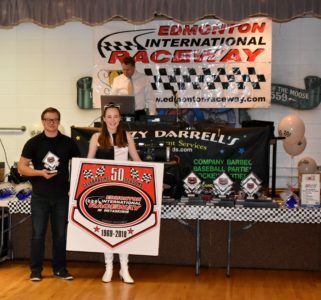 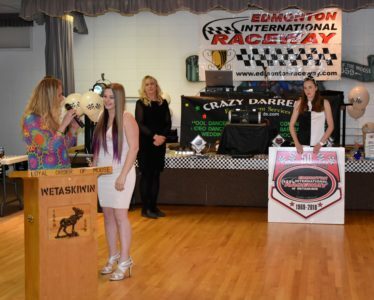 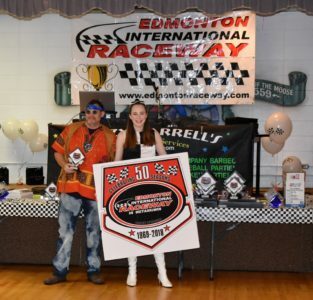 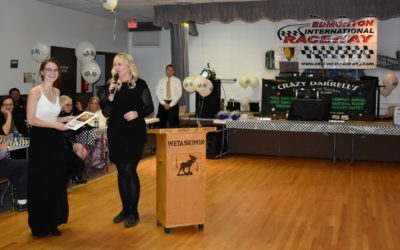 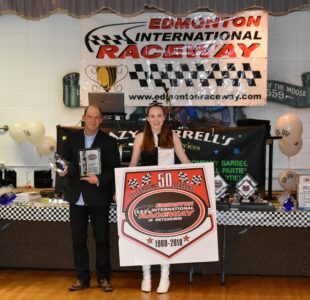 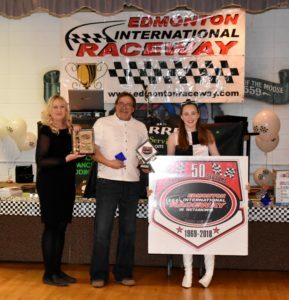 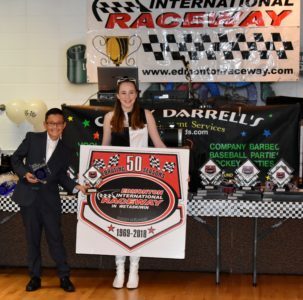 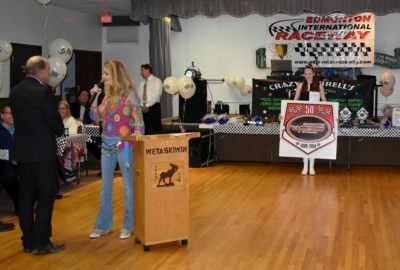 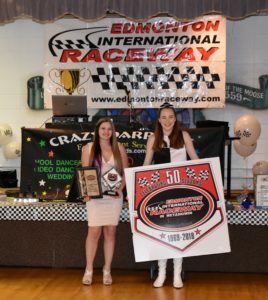 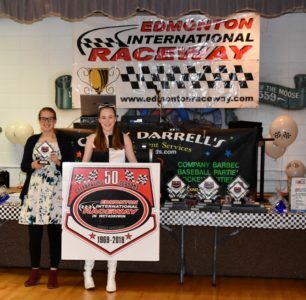 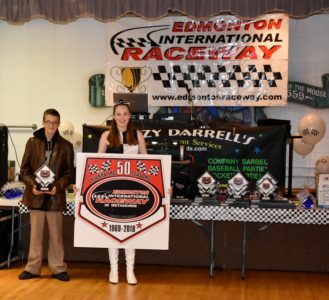 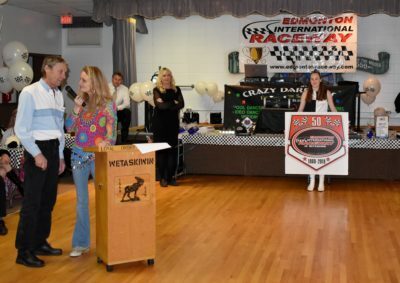 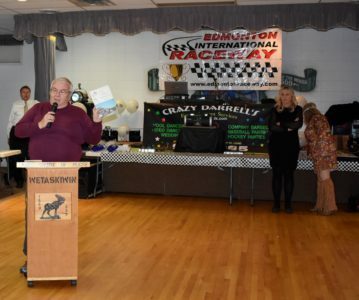 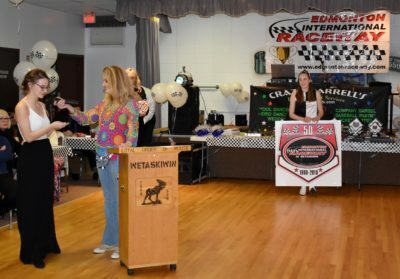 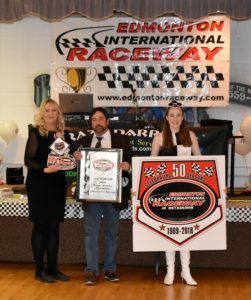 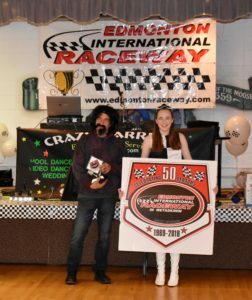 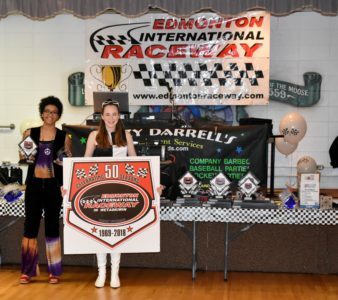 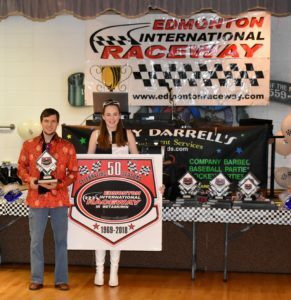 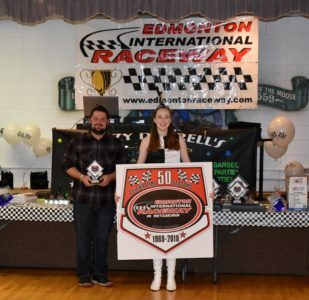 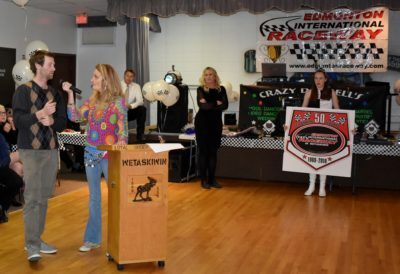 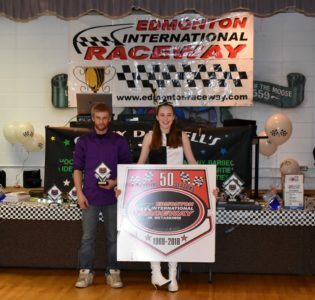 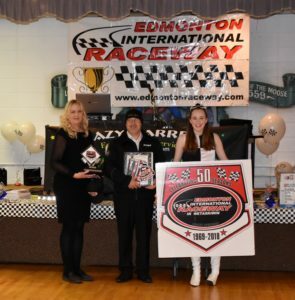 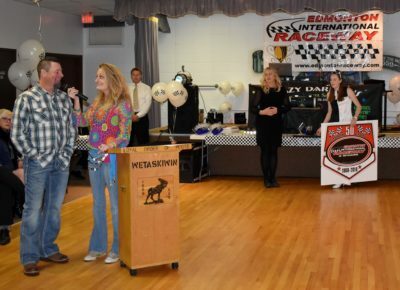 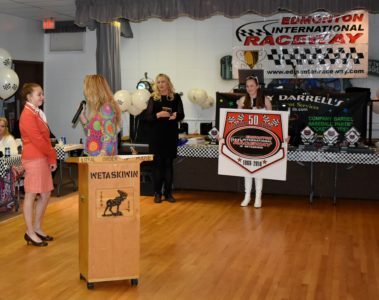 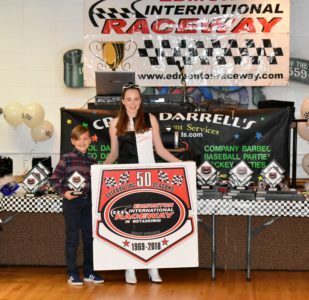 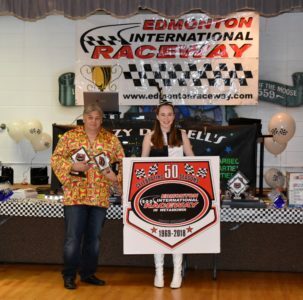 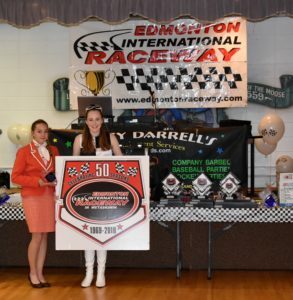 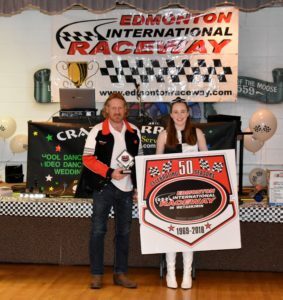 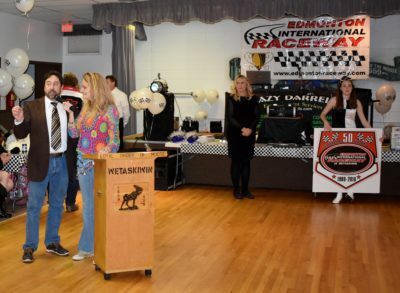 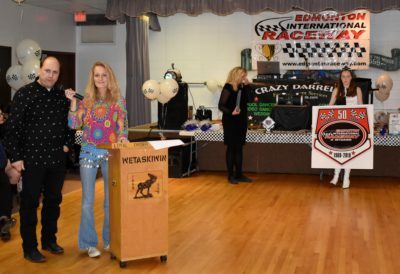 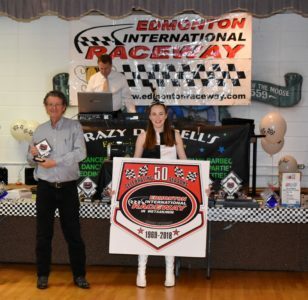 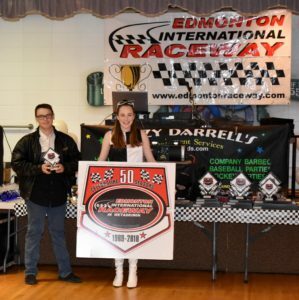 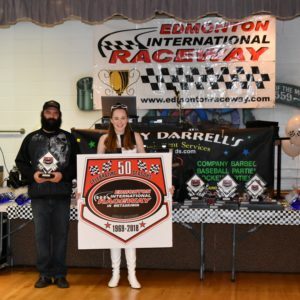 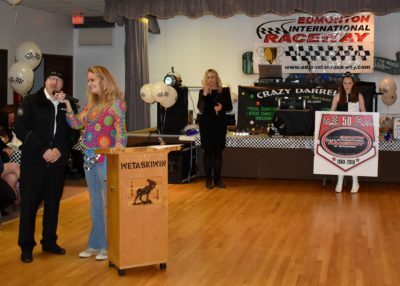 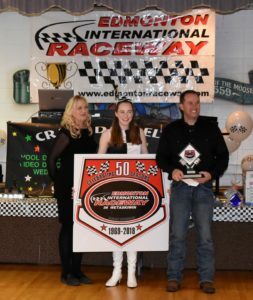 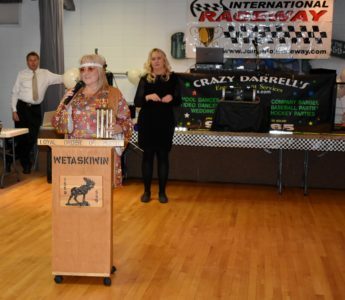 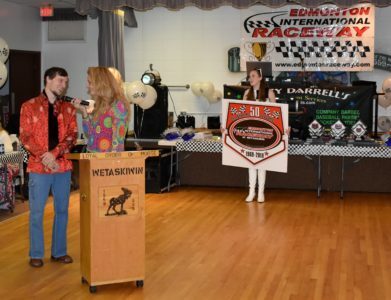 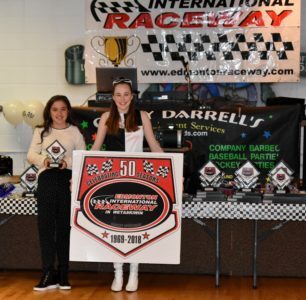 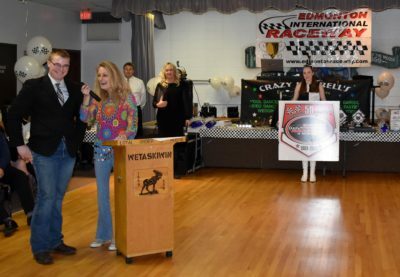 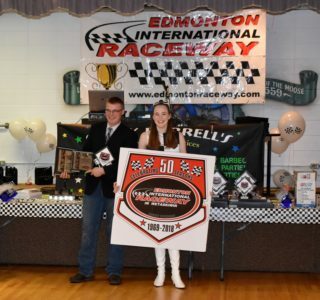 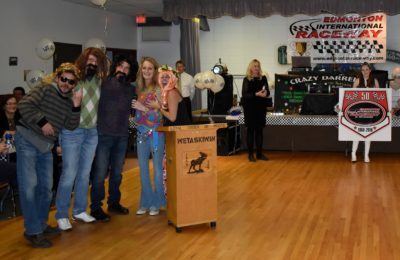 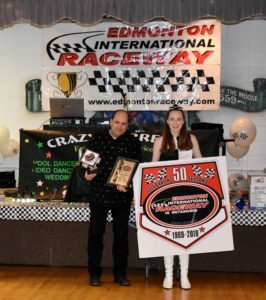 The 2018 Edmonton International Raceway Awards Banquet was held at Moose Lodge Wetaskiwin November 3. 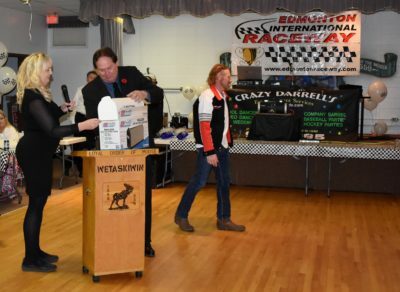 It was nice to see a lot of race teams & volunteers at the event celebrating the 2018 race season. 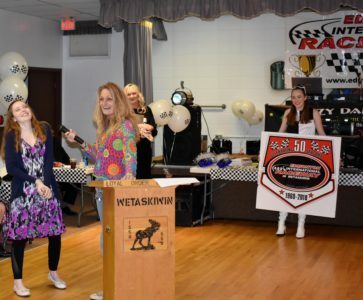 EIR Celebrates 50 Years at the Moose Lodge in Wetaskiwin! 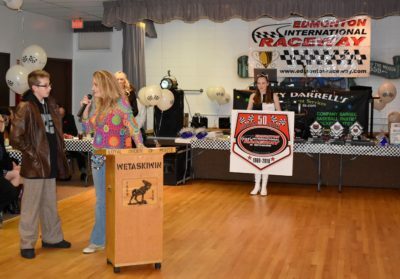 We thought it only fitting to host our 2018 Awards Banquet celebrating 50 years of Racing at the traditional Moose Hall in Wetaskiwin. 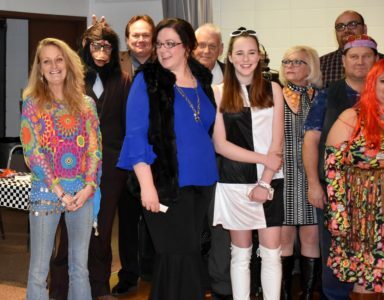 It was a great night with lots of visiting, great 1968 dress attire and tons of fun dancing with the young and “older”! 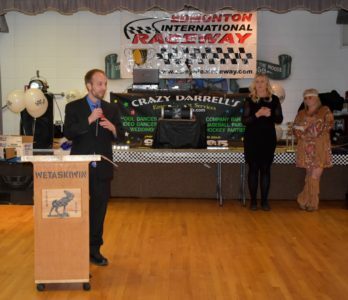 Special Guests included Wetaskiwin County Councillors Ken Adair and Bill Krahn, Wetaskiwin City Councillor Alan Hilgartner & his Wife Janice and Gary Hartl and his wife Christine from Bayer International. 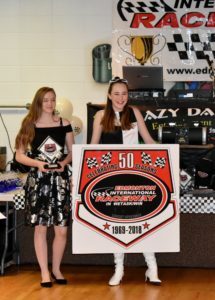 Special Announcements from EIR included the development of new Late Model Test Drive Cars for EIR’s 2019 Stock Car Test Drive Program & Gary Hartl from Bayer International announced that BAYER would once again sponsor the 2019 NASCAR Pinty’s Series Race on July 27, 2019 with the LUXXUR 300! 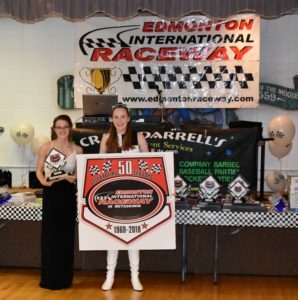 Trophy Sponsors for the EIR 2019 Banquet included Superior Lumber, Allied Distributors, Wild Rose FoodService, Praxair, Manluk Industries, Waste Connections Canada, Leduc Sheet Metal and Gas Fitting, Roberts McClure Insurance and How Sweet it Is Bakery here in Wetaskiwin. 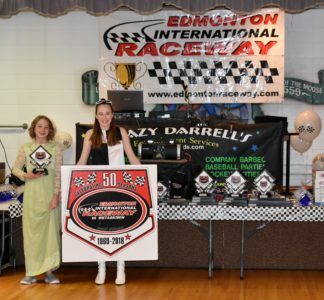 our new Late Model Cars! 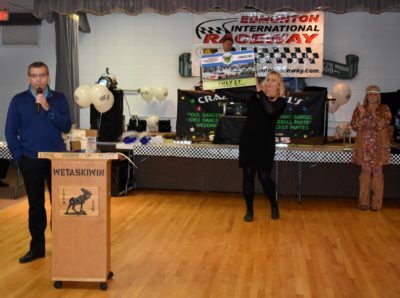 We look forward to continually building our relationship with both the County and City of Wetaskiwin and we truly appreciate their partnerships as we move into a very exciting future. 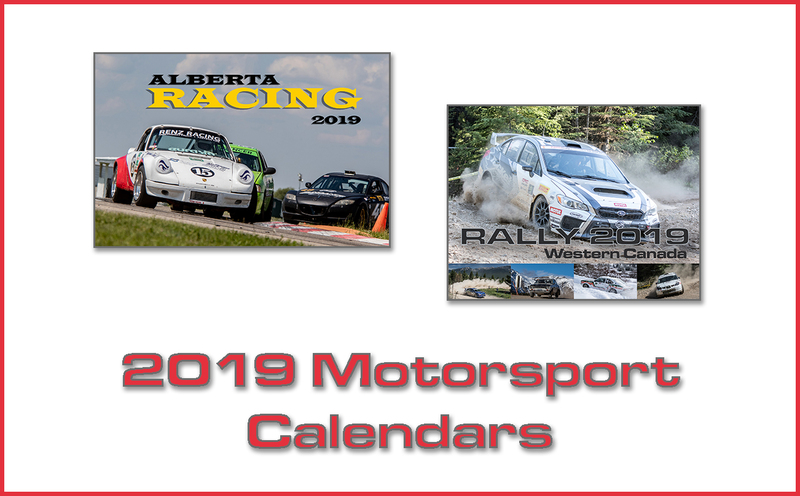 We wish everyone a very Merry Christmas and healthy and happy NEW YEAR to everyone! 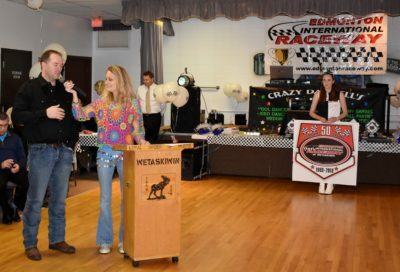 #83 ALEX KRAUSE 457 – CHAMPION! 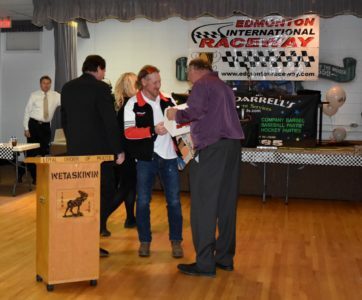 #29 MIKE RAMM 746 – CHAMPION! 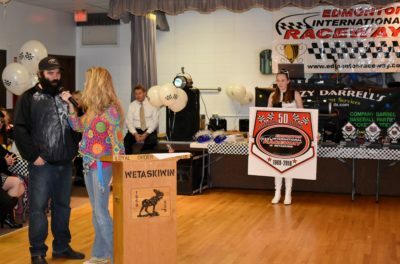 #88 ROY WIGLEY 226 – CHAMPION! 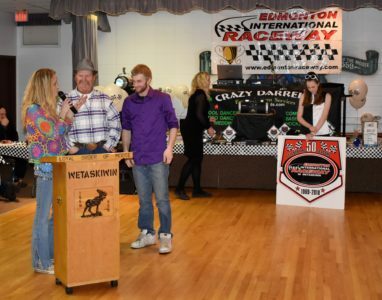 #12 CHAD MALONE 549 – CHAMPION! 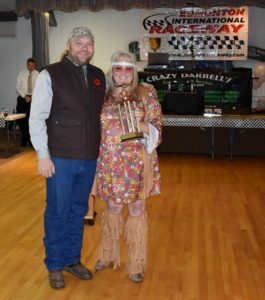 #74 WADE LEE 327 – CHAMPION! 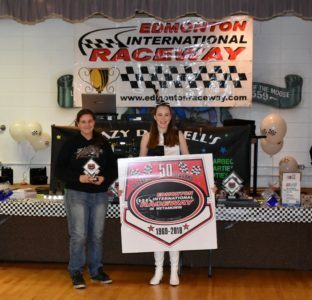 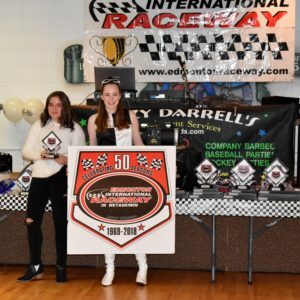 #16 HALEY CRANDALL 461 – CHAMPION! 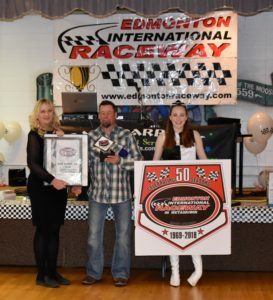 #47 LEE WERNER 466 – CHAMPION! 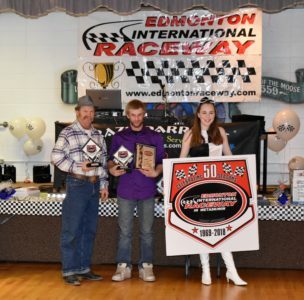 #10 DALE EDWARDS 299 – CHAMPION! 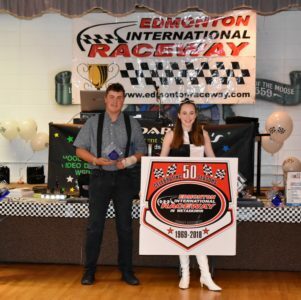 #23 KAYLEE WILKIE 1062 – CHAMPION!